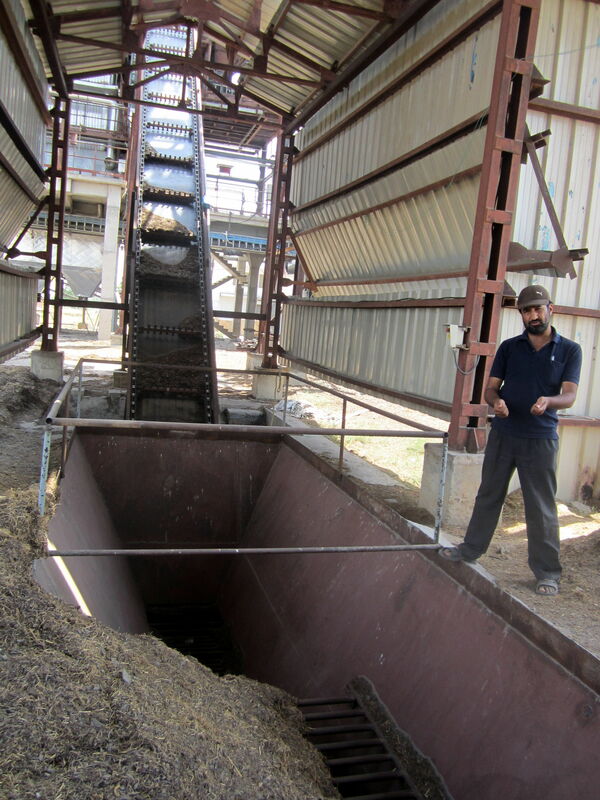 Recently, the interns involved in the Biogas Workshop held in Himachal Pradesh were treated to an extra day of field visits related to renewable energy in Punjab. 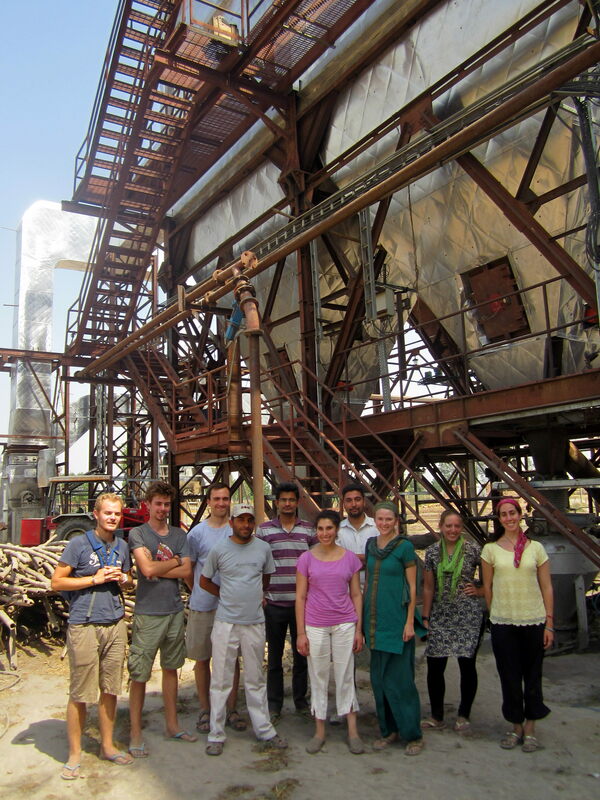 The biomass plant visit was among the many highlights of this extended workshop. Located near Nakoda, the Green Planet Energy Ltd Biomass Plant produces 7,000 kilowatts of energy per hour (KWh). Assuming the average house utilizes 3 KWh, this one plant produces enough energy to power 2,333 homes every hour. All of this energy is produced through the burning of biomass (organic) waste that would otherwise be burned in farm fields. Of course, burning the biomass fuel creates waste fumes. The fumes contain particles of carbon monoxide, a poisonous gas for humans to breathe, and carbon dioxide, a greenhouse gas widely considered to be contributing to global warming. 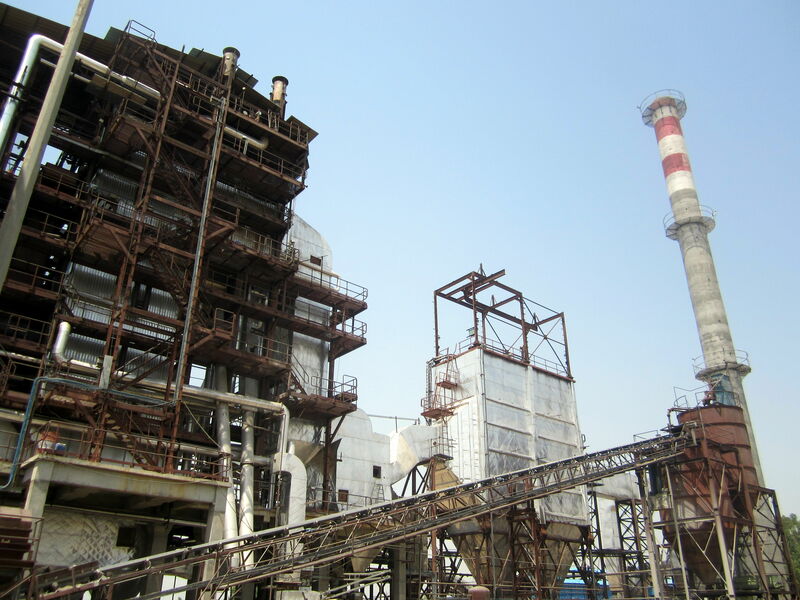 The Electric Static Precipitator (ESP) presents a solution to this environmental waste dilemma. The ESP processes the gases from the boiler with charged electrodes. These electrodes attract the harmful particles in the fumes, releasing clean oxygen and solidifying the carbon particles into ash. The ash is then used in building materials, such as bricks and roads. 99.4% of the harmful gases are collected through this ESP process. After a full day of field visits, it was not only a highlight, but also a privilege to be shown the inner workings of this biomass plant.